Haq's Musings: Is Ramadan a Break from Work in Pakistan? 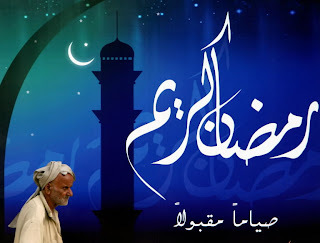 From the 1st of Ramadan to the 10th of Muharram, that’s about four months in the Islamic calendar. In this period the country is in no mood to work. This is the annual sabbatical when the faithful and the unfaithful pretending to be faithful take a break, a long break, a four-month-long break from work. Not that we are renowned for work ethics and hard work, but what we accomplish in these four months is so puny and pathetic that it makes us look good in the remaining eight months in the calendar. In Ramadan the working hours are nine to one. That’s it. And in these four hours work is the last thing on the workers’ mind. Go to any government office during these four hours and you will encounter a grouchy, lazy and sick-of-life person with bad breath (apparently even brushing your teeth in the morning is not kosher if you are fasting). No matter how urgent your work, leave the place and come back after two and a half months in the third week of Muharram. This man is in no mood to do anything. He’d rather go home and watch an Indian movie till he breaks fast. This person, and millions of others like him, wants the world to be eternally grateful to him for his fasting. The entire humanity is indebted to him for the good religious duty he is fulfilling. Don’t mess with any such person. Everything else except work goes on. People get busy with religious and festive activities. Attendance in mosques increases, tarawih, mahafil and dars are daily affairs. Since we are such crooked and corrupt souls during the rest of the year that people go all out in beseeching God’s forgiveness in this month — Ramadan is, after all, the month of maghfirat (repentance). On the festive side Iftar parties were always in vogue but now Sehr get-togethers are catching up fast with Iftar parties. Restaurants are open all night because people stay up all night. Meet up at a Sehr party and then sleep. Other than that, one line dominates the workplace, “We will see what we can do about it; come after Eid”. All the overt praying, charity and piety aside, we don’t actually become good during this month. Can’t afford to. We carry on with what we do best: lie, cheat, bribe, rob, extort, etc, but since it is Ramadan, we repent in earnest. We know how the world works. In that we are like the little boy who used to pray to God to give him a bicycle. Very soon he realized that God doesn’t work this way so he stole a bicycle and prayed to God for forgiveness. We are past masters at this and we do it all the time, only more so in Ramzan. Contrary to the spirit of the month, for us this is a month of indulgence in every sense of the word. Be it religious indulgence, spending indulgence or eating indulgence, we go the whole hog. This is a uniquely Pakistani phenomenon. In ten hours or so people take three meals and none of them is a healthy meal. The three meals comprise only three ingredients: sugar (hence the sugar crisis), wheat (hence the atta crisis) and oil (hence the ghee crisis). All across the Muslim world there is less consumption of eatables and as a result prices come down. Read a newspaper or watch any tv channel to see what is happening in Pakistan these days. It may be a holy month but our rules of business are clear: God and Mammon have to be served simultaneously. We do it without even a hint of compunction. Indulgence exerts its ugly head in religious anarchy too. Selling food and eating food are a crime punishable by vigilantes on the spot. The faithful can, and do, disrupt normal course of life anywhere at any time as a matter of right. Airport lounges, aircraft aisles, railway stations or main roads, can all be blocked for, say, prayers. Who is to stop them? Loudspeakers in the mosques? Who can silence them? To cut the long story short, the first twenty-odd days of Ramadan are spent working three or four hours every day. Towards the end, you may take full time off for umra (if you can afford it), or itikaaf, or both. At the end of Ramadan the nation takes a seven to ten days holiday. Then slowly people drag themselves to work. It takes a lot of yawning, stretching and scratching for them to get back in the nine to five rhythm but they finally do get back in work mode. A few weeks later it is the Haj and Eid-ul-Azha season. That’s another week off. The last two holidays in this 110-day sabbatical are the ninth and tenth of Muharram. Interspersed, of course, are our Gregorian calendar holidays — 23rd March, 14th August, 25th December and so on. They too need to be accounted for. All in all, this ends up as a period of extremely low productivity and low efficiency. If you are so inclined, take out the calculator and do the maths yourself. I am too lazy to do that; I am too lethargic to do anything. I am practicing for the days to come. "Najeeb Zafar a leather factory owner in the suburb of Lahore was killed by his factor workers and the manufacturing facility was also torched after exchange of hot words over the delay in payment of the salaries of the workers"
It's rather opposite in Ramadan about what the article say... Even in Ramadan the nation seems to earn 3 times than the rest of the year. Shoping centers would work almost 20 hours a day, sepcially at the end of Ramada. However, the days of Aashura would be off to work. It's true that the govt want NO MORE work that's why it "drags" the nation from work in Ramadan. In short the lazy people suits to be in govt, not in private. Not all true. I agree that Govt offices have very lazy behavior but don't forget that most of job class also exist in the private sector. People work a lot even in the Ramadan in the Private and Corporate offices of Banks and companies , Multinational companies, factories, Mills etc. You don't have any idea how much a normal Pakistani works in normal days. His day starts at 9:00 am and continues until 9:00 pm with only one weekend holiday on Sunday. No matter what position you hold. I know my friends related to the Information Technology field having good posts works till night. Also I know many people having senior posts in the Banks work 60 to 65 hours in a week. They really feel lack of good family time during the week. Please don't try to represent the bad image. Every nation has some bad and good habits. It would be nice if you represent some good things if have some broad vision. You may be right based on what you see in the private sector. But, unfortunately, my experience is that practicing the the huqooq allah part of our religion has become an excuse for many (not all)to avoid other Islamic commandments such as an honest day's work for halal rozi, truthfulness in our words, courtesey and respect for fellow human beings regardless of their faith, ethnicity or background, recognition of our responsibilities toward others as well as respect for the rights of others, etc. I came upon your page by chance searching for quotations on what the quran or the prophet have to say about leaving work undone during ramzan. My personal experience is this: I posted a facebook update stating that I am working extra hard this ramzan. This updated was greeted by a flurry of comments that usually the opposite is true and why would I want to do that. I agree with the entire sentiment expressed in your blog and am so thankful to have found a voice of reason and sanity in this mad-for-religion world. The mentality that I subscribe to, thankfully, is one where hard work is a religion unto itself. "WORK IS WORSHIP". This oft-quoted phrase is the closest thing to the importance of huqooq-ul-ibad in Islam. Performing Huqooq-Allah (prayer, fasting, Hajj, etc) are equal in importance to fulfilling your role in society (your role as father, mother, citizen, employee, etc.) through hard work in carrying out huqooq-ul-ibad. Pls google of last year. You could see the comment of egyptian cleric saying that people use ramadan for taking rest and emphasised on importance of work. i agree with haq that work is worship and it cannot worship cannot be at the cost of work. Might be this is possible in gcc till they enjoy the benefit of oil.